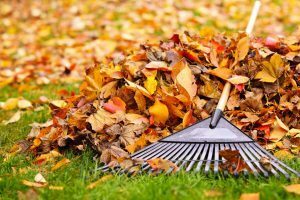 Autumn brings a whole raft of garden tasks; time to cut back the dead plants, clear up leaves, do winter planting and get ready for winter. Warm up – Gardening is like any other exercise; you need to warm up first. Don’t go straight into heavy garden work; start off with lighter jobs as this will lessen the chance of muscle strain. Clever pruning – Get as close as possible to the things you are pruning and avoid overstretching to reach the area you are dealing with. – When using a ladder or steps, make sure you are always facing it, keeping your shoulders, hips and knees pointing in the same direction. – Rather than leaning or reaching, move the ladder or step regularly to keep up with where you are. – Any kind of ladder must be firmly and safely planted in position and, if possible, have someone else there to keep an eye on things.